Are you looking for some good shopping deals this weekend, but want to avoid the crowds? Here are a couple big sales two of the local bike shops are having this weekend. BLACK FRIDAY SALE…10-2 pm. 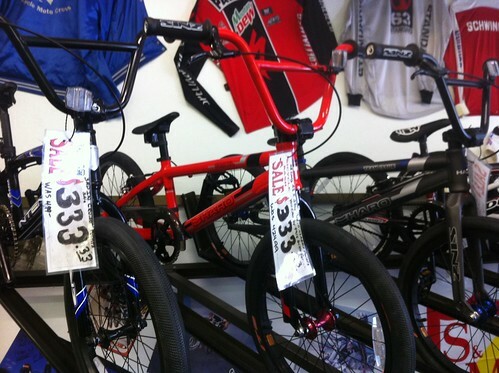 Deals like any one of the 3 race bikes in the photo above….300$ each + tax. There will be great savings on plenty of other bikes in the shop as well. Save the Date! Saturday, November 24th, come celebrate the Shop Small movement with us on Small Business Saturday! We will be open 9-5 on Saturday the 24th. Hot Drinks and Goodies will be served. This is a One Day Sale, we hope you can make it! More details on this sale including a printable coupon for 10% off any In-Stock Bike, 40% off all Shorts and Short Sleeve Jerseys, and 20% off all other Clothing can be found HERE.